Family-Size bowrider with a wide 9'4" combines sleek styling with sports car handling. 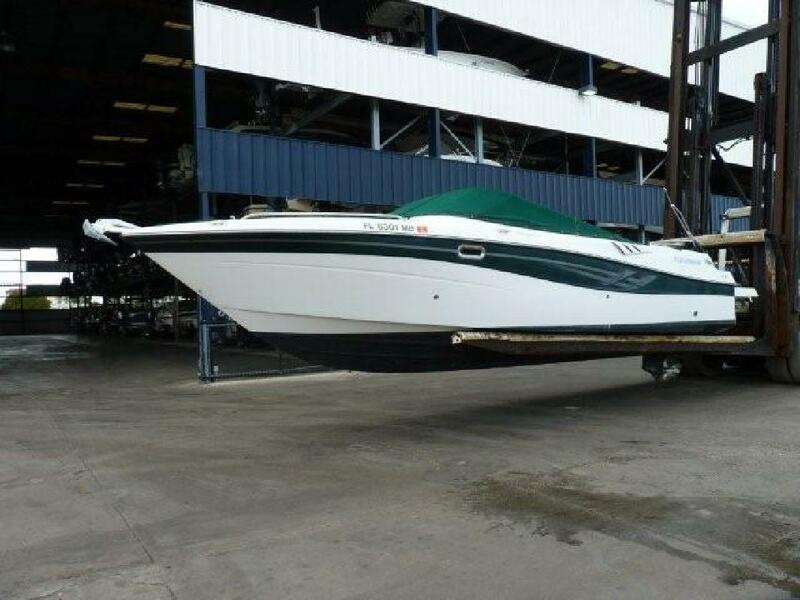 Highlights include: Anchor windlass, trim tabs, Stereo, Gaffrig Throttle controls, an extended swim platform, a roomy head compartment with Vacu-Flush toilet, wrap around rear seating, wet bar with refrigerator, bimini top, cockpit cover, snap in crpets, bow filler cushion. Powered by a single Volvo -Penta 7.4 Fuel injected 385 hp with duoprop outdrive. Equipped with the optional Corsa Quick and Quiet Exhaust system. With her deep-vee hull she can handle an offshore chop very well. Boat is indoor marina rack stored on Marco Island. No trailer. Please call for appointment to see this awsome package.